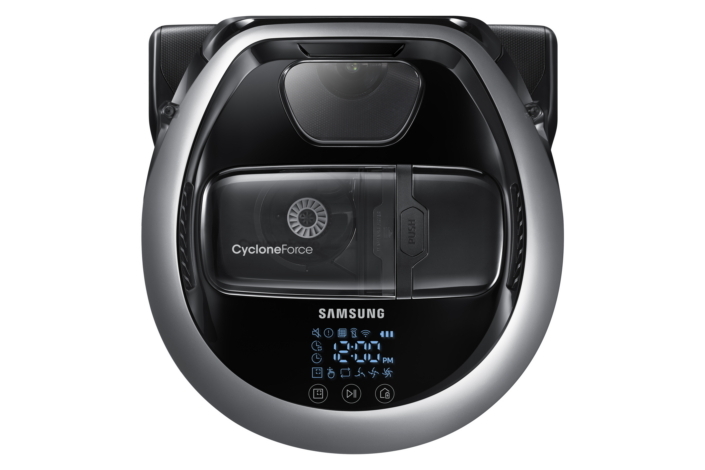 Samsung Electronics today announces the latest in its innovative and popular line of POWERbotTM vacuum cleaners, the VR7000. Set to be unveiled at the upcoming CES 2017 in Las Vegas in January, the new unit features powerful suction and slim design — at less than 4 inches tall (97mm), it is 28% slimmer than previous Samsung robot vacuums1. The new design is aimed squarely at consumers who demand better automated cleaning. According to internal Samsung research, 39% of consumers in North America said they expect their robot vacuum cleaner to reach hard-to-reach places and have enough suction capacity to eliminate the need for manual follow-up cleaning. The POWERbotTM VR7000’s Edge Clean Master feature enables the unit to come within a ½ inch (15mm) of the wall. This is achieved by placing the unit’s wide 11 inch (288mm) brush — the widest among leading brands — close to the front, so when the unit reaches the wall it can easily gather dust and hair. Additionally, the Auto Shutter feature further meets that demand by automatically dropping down a barrier to help the unit sweep up more dust collected closer to the edges. The POWERbotTM VR7000’s unique Self-Cleaning Brush System significantly reduces the amount of dust and hair that gets trapped in the bristles. It collects debris in the center of the brush, facilitating easier transfer into the dustbin to cut down on regular maintenance. The POWERbotTM VR7000 is equipped with several intelligent features that power the unit’s automated performance. With Visionary Mapping™ Plus and FullView Sensor™ 2.0, the POWERbotTM VR7000 maps and remembers contours of the room to provide thorough cleaning. Later, it can guide itself to dirty areas on any surface. It can also detect and work around obstacles or small items (less than 10mm or 0.4/inch). The POWERbot™ VR7000 has received a 2017 CES Innovation Award recognizing its sleek new design and ability to cover even the most hard to reach places. Anyone wishing to find out more about the VR7000 or any other Samsung Electronics product is encouraged to visit the company’s CES booth #15006, on Level 1 of the Central Hall in the Las Vegas Convention Center, from January 5th through to January 8th 2017.